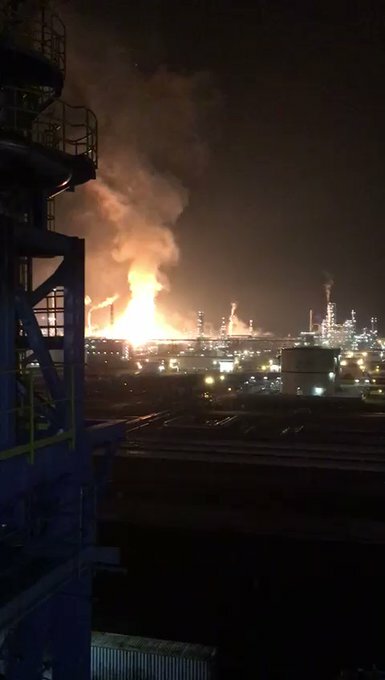 A blast and fire injured two workers at Malaysia's state oil and gas company Petronas' Refinery and Petrochemical Integrated Development project in Pengerang, a municipal area in the country's southern state of Johor early today, Xinhua reports. Police said two locals had been injured at the facility located within the Pengerang Integrated Petroleum Complex, which includes the RAPID project, and the blaze had been contained within 30 minutes. "A total of five fire engines and 30 personnel managed to contain the blaze and later extinguish the fire at 2:15 a.m.," the police said in a statement, adding that the two injured were being treated at an emergency treatment facility on site. Videos and pictures of a blast incident at the complex were seen on social media, with some users claiming to have felt tremors from the blast, according to state news agency Bernama. Meanwhile, Petronas, in a brief statement, said the incident was under investigation and that it would provide additional information as this was available.